Individuals claiming to belong to the Islamic State (ISIS) brought television broadcasts to a halt and hijacked TV5 Monde websites and social networks. 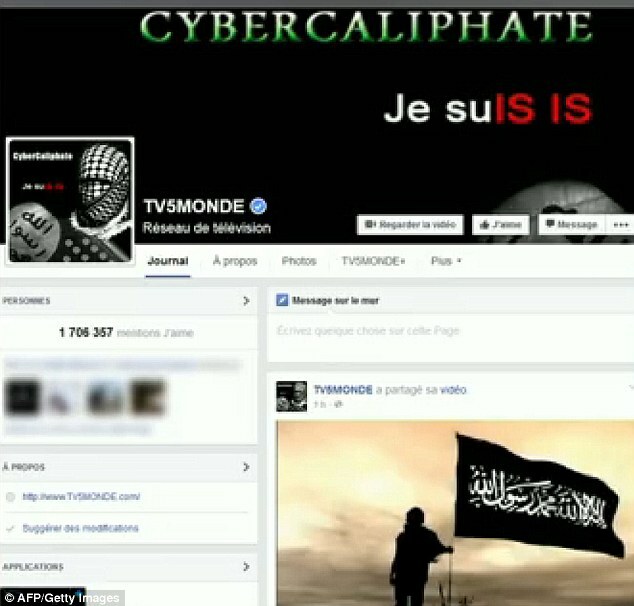 The hackers posted documents on TV5Monde’s Facebook page purporting to be the identity cards and CVs of relatives of French soldiers involved in anti-IS group operations, along with threats against the troops. “Soldiers of France, stay away from the Islamic State! You have the chance to save your families, take advantage of it,” read one message on TV5Monde’s Facebook page. 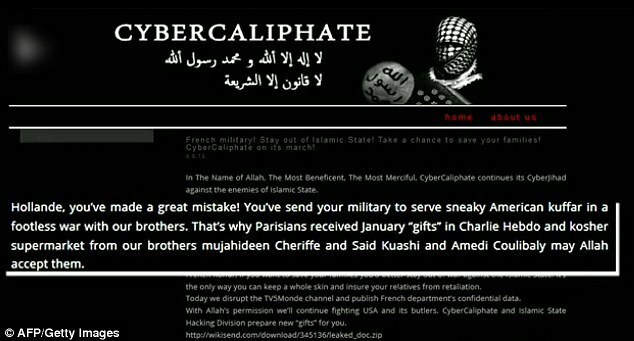 “The cybercaliphate continues its cyberjihad against the enemies of Islamic State,” the message added. Bigot said that the network itself did not appear to have been targeted in the message. “[It’s] about French policy in the Middle East,” he said. Wassim Nasr, FRANCE 24’s expert on jihadist movements, noted, however, that the message – written in Arabic – contained plenty of spelling and grammar mistakes, indicating that “the authors are not Arabic”. David Thomson, a journalist at FRANCE 24’s sister radio station RFI and author of a book on French jihadists, added that the so-called “cybercaliphate” that the hackers had referred to in the attack “is not an official arm of the IS group”. The Paris-based company was able to partially resume television broadcasts by 1:00am local time (2300 GMT) after a three-hour blackout, Bigot said, but added its systems had been “severely damaged” by the “unprecedented attack”. “We’re still not able to produce our news programmes,” he told FRANCE 24, adding documentaries and other pre-produced programmes were being shown instead. 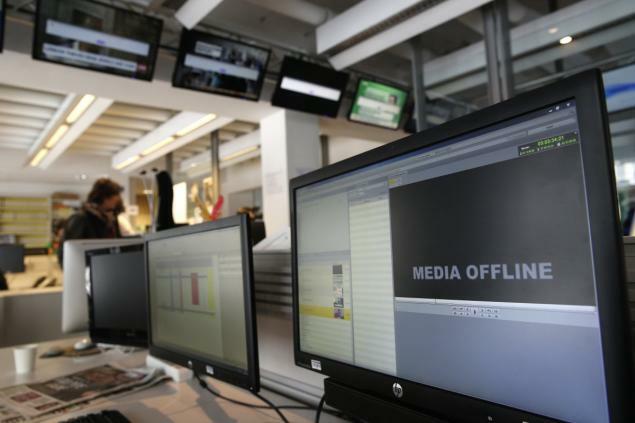 TV5Monde regained control of its social networks by 2:00am Thursday, the director-general said, but television broadcasts were likely to take hours, if not days, to return to normal. The attack would have required weeks of preparation, he added. The hackers accused French President François Hollande of having committed “an unforgivable mistake” by getting involved in “a war that serves no purpose”. “That’s why the French received the gifts of Charlie Hebdo and Hyper Cacher in January,” it said on the broadcaster’s Facebook page, referring to the twin attacks by Islamist militants in Paris that left 17 people dead over three days and deeply shocked the country. France is part of a US-led military coalition carrying out air strikes against IS group in Iraq and Syria, where the jihadist group has seized swathes of territory and declared an Islamic “caliphate”. More than 1,500 French nationals have left France to join the militants’ ranks in Iraq and Syria, where they represent almost half the number of European fighters present, according to a report released Wednesday by the French senate. LBScott According to the complaint, their banishment from the front row was “in accordance with studio policy.”Fatima Dadabhoy, Senior Civil Rights Attorney for the Council on American-Islamic Relations Los Angeles branch, released the following statement.